This February marks the official publication of I Me Mine – The Extended Edition. Limited edition copies are starting to ship and George Harrison's autobiographical book will also be published in hardback, available in bookstores worldwide. I Me Mine first appeared as a limited edition in 1980, and in hardback in 1981. Since this time various editions have followed. 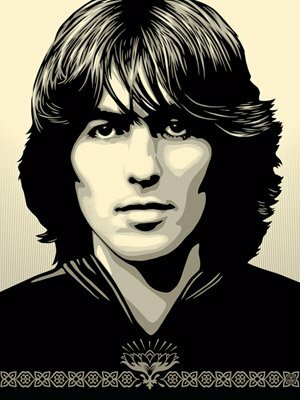 Now, for the first time, the scope of I Me Mine covers George Harrison's songwriting from 1963–2001. First copies are to be shown at a special pop-up exhibition. Genesis is delighted to invite readers to the one-day celebratory show which is being hosted at Subliminal Projects. The Los Angeles gallery was founded by renowned artist Shepard Fairey whose work now features on the new cover of I Me Mine. For more details please contact us. We hope to see you there.